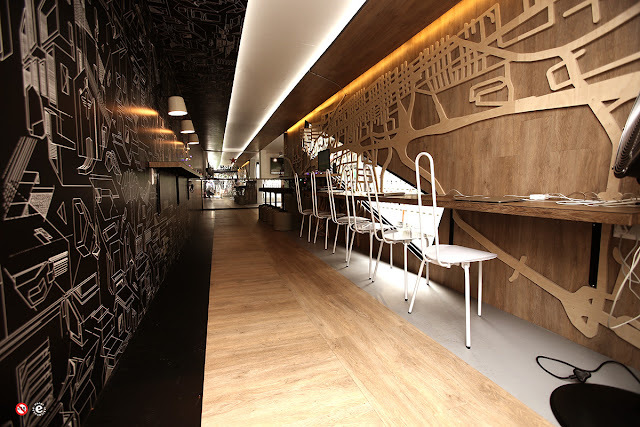 Next Level Bar, one of Heineken’s most exciting creations came up with an innovative pop up bar in Braamfontein, Joburg and intimate space for up and coming creative talent in the world of art, design and technology. 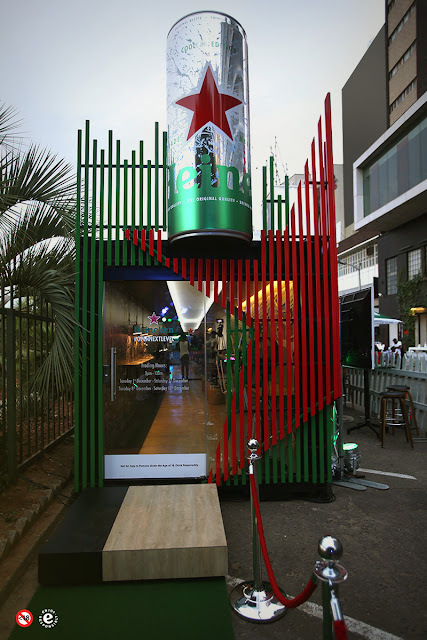 Celebrity guests and media descended on the coolest bar in Jozi, for a next level experience and a cold Heineken. 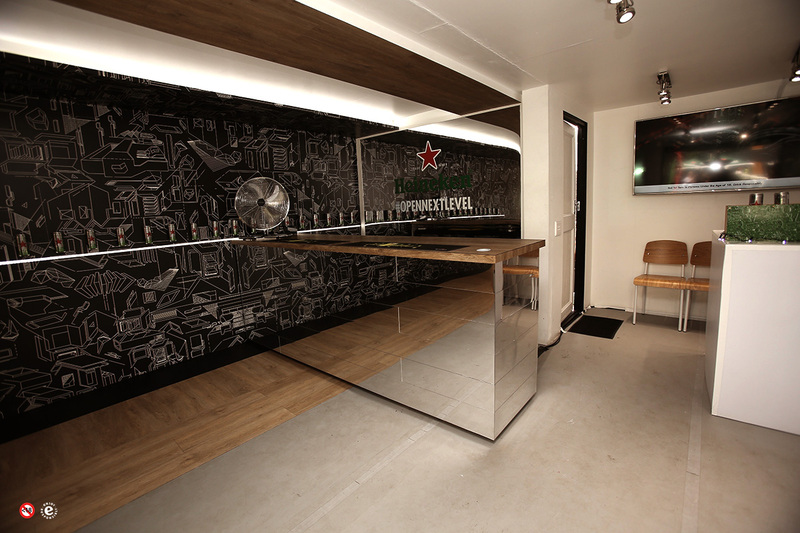 The custom made pop-up bar is inspired by the design of Heineken®’s new sleek 330ml Cool Can that was launched earlier this year. In the spirit of this first-to-beer innovation and the ‘Open Next Level’ campaign, the bar was developed to create a cool space for creatives to meet and collaborate, enjoy totally unique experiences, and showcase their work to the world. Some of the biggest names in the South African creative industry attended the launch and were given a taste of what will be on offer at the Heineken® Next Level Bar, now open and free to the public. An eclectic array of entertainment thrilled the crowd, including next level “indie” gaming, which guests played using very special controllers made out of Heineken®’s new Cool Can - a perfect example of the kind of innovative collaborations that can be expected in the Next Level Bar. “We learned that there was a real need for space for young creative talent to work, collaborate and meet others, and as a brand we want to help elevate them to the next level. The result, The Next Level bar. It’s open and free for everybody, has free WIFI and other facilities, inspirational design and of course a complimentary cold Heineken® Cool Can. In addition to the physical space, we are giving creatives access to our social media platforms to enable them to showcase their work to SA and the world,” says Tjeerd Veldhuis (Marketing Manager, Heineken® South Africa). The Heineken® Next Level Bar is now open and free to the public at Smit Service Street, Braamfontein, Johannesburg (GPS co-ordinates: -26.194651, 28.034776) until the 12th of December 2015 from 2pm till midnight, Tuesday to Saturday. For full details and programme, follow Heineken on Twitter (@Heineken_SA) and/or Instagram (@Heineken_SA). Check out the same before it gets packed up!